Yes, I’m a dermatologist. But I’m also a woman who wants to defy age. The concept an AceLift was born the day I turned 50. Life was good. I was at the height of my career as a dermatologist in New York City. But, at the same time, the inevitable was happening to me. The very things that drove women to my office were happening to me. 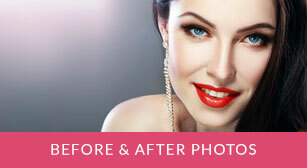 The sagging, discoloration, lines, wrinkles, thinning skin, crevices (oh, those crevices)…It was time for a facelift. Turning 50 was a milestone and self-imposed deadline to take action. The same way I felt my clock ticking in my 30s and made getting pregnant a goal, I figured, when I turned 50, I would get a facelift. Throw in menopause onset and my beloved son’s college departure, and I was primed for a pick-me-up. As luck would have it, all I have to do is turn to my husband, Robert Gotkin, M.D., a board certified plastic surgeon. We work in the same office, and, of course, share the same bed. I could have a surgical facelift any time–all I had to do was ask. But even for me, surgery is a big step. Downtime is an issue, as I run a busy cosmetic dermatology practice on Park Avenue. Another dilemma surfaced: Would (or should) my husband be my surgeon? For 30 years, he had been my best friend and partner in practice, but approaching him to do my facelift was definitely asking him to cross a delicate line. Would it be putting him in an unfair position? Would he feel too much pressure? I toyed with the idea of consulting one of his colleagues but knew, in my heart, that no one could do a better job than Bob.Problem solved! They say necessity is the mother of invention, and that has certainly been true for me. Instead of succumbing to the idea of a facelift and wondering who would be better to perform it, my new mantra became: “anything but the knife.”I learned that many of my patients feel exactly the same way. They want to improve their appearances but without going under the knife. The AceLift began to take shape. It was the perfect solution for me and women like me. After all, I had been doing combinations of the elements—from laser resurfacing to injectables, fillers, and topicals—throughout my decades in practice. Why not create a knifeless solution to the facelift and tell the world of women out there who share my age-defying attitude about this wonderful option? An AceLift is a facelift alternative, where you can actually have a 90-minute procedure and come out looking up to nine years younger. It’s all done under local anesthesia, uses no knives and generally results in very little downtime.